We had a great week with the Letter Aa using Tot School Printables! 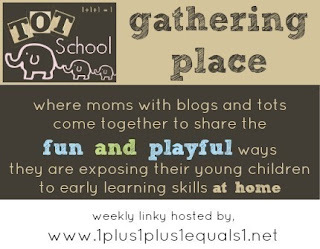 To find out more about what we will be doing, please visit Carisa's post on Tot School Printables @ 1+1+1=1. 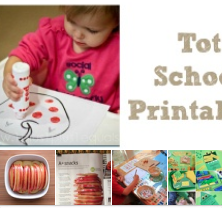 With this being our first week with the Tot School Printables, I have lots of photos to share. 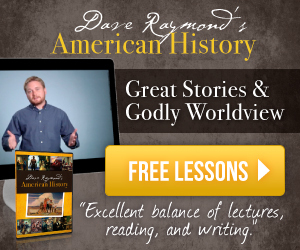 Grab a cup of tea and join me as I teach my little one! Boaz dot painted each apple. He was very precise to only paint the apples and he handed me his sheet when he was done. Bo dot painted each letter. Below he is saying the short sound of Aa. Bo loves singing, so I am singing "/a/, /a/, apple," the tune from Sing Spell Read and Write (here is a youtube vid of a little girl singing it). I plan to add to the song each week so that by the end of the alphabet, he will know each sound (and recognize the letter!). 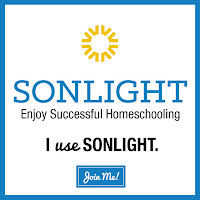 Here is where I remind you that my goal is to not only teach Bo phonemic awareness; my goal is to teach him to TALK! I am not worried about Bo not talking. I do have an appointment to have him screened, but it is probably genetic. Luke had mentioned that he had to have speech therapy at the age of two, but I talked to his mom and she said that he could not say consonants at all. It was a relief to know this and it makes me all the more thankful that I have been signing with him so he CAN communicate! Along with the first sound of Aa, (short sound), I am also teaching him the second sound of Aa, the long Aa. He said both for me every tot time this week! I'm super happy about this! (See video). Bo colored the Aa's and the objects. . . He was excited to see an ant on the page - he is fascinated by them. (We've had a bit of an ant problem this winter which is unusual this time of year ~ we generally don't see ants until summer). Bo watched them daily for a few days until I found my box of borax and that took care of that. But, he tried to say ant! I knew what he was saying, though he didn't say the t. I realized that maybe he didn't say the /t/ later when I worked with him on counting and coached him to say /t/ for two. These are old Stampin Up letter stamps from my craft stash. I stamped the first one, and then he did one. He wasn't too interested in stamping, though the week before this, he asked to stamp (I had them out for Eliana) and he stamped a bit longer then. So, I pulled out the letter stickers from the Letter Aa basket (below), and he peeled off each A/a and put them ON the letters on the page! I so loved that he made that connection! I later gave him apple stickers to put on the apple and he later covered the stamped A's with letter stickers. I made an "a is for apple" raw apple snack that I found on Pinterest. I juiced an orange and a lemon and soaked apple rings in the juice. They were pretty tart. 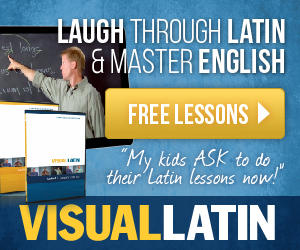 This activity is to model left to right reading. I gave him a red (color of the week) dry erase marker (though wet erase do work better on lamination and erase easier), and used my finger to trace the line to show him what to do. He made a great effort! My letter Aa basket (just a simple one) was inspired by Carisa's Hands on the Alphabet. His favorite? The Lauri Toys Tall-Stacker Letter A Pegboard... but he was engaged by everything inside. Bo loves to do puzzle apps on my phone. Some he can do on his own, but he brings me the ones he can't and loves to watch me do them! I will partially complete them for him and leave the last piece or two and he starts another one as soon as he finishes and hands it to me to help him. So, he was real engaged with the Letter Aa puzzle from Match It! Upper and Lower Case Letter puzzle. When he couldn't slide it in (like he can do on an app! ), I showed him how to lift and snap it into place. And THAT was day ONE! We hung our work for the day on the white board, and Bo used magnets to cover the Aa's on the Dot Paint the Letter page! but it was tossed in there by mistake. I showed Bo how to lace. I put the shoelace through the hole, and had him pull it through. We did this a few times. He munched on his apple while working today. Then I got a notification on my phone, so the kids brought my phone to me and of course, Bo was distracted and wanted to play. Here he is playing Starfall ABCs ~ which he loves! While he was playing, I put things away and brought out a new activity. We started with a marker, then dot painter, then he hammered the apple and finally dumped all the basket contents out and I thought that was a good time to bring out the red play dough! I rolled snakes for him and we made Aa's together. He played for a good amount of time and really enjoyed his play dough time today. Trying to roll his own snake! I introduced him to several other colors, but he wasn't impressed. So, I put his basket away and he was content to play awhile. I hid the shapes in the sensory tub and said the name of the shape as he pulled it out. Bo knows where the tot school loot is now, so he pushed the desk over to climb up. I set him up to see what he wanted and he picked the Melissa & Doug Beginner Pattern Blocks. (I was not ready to leave all his tot materials out at once this week, but I did do this one day the next week and let Bo choose). I couldn't find our play fruit, so I used real fruit and Bo matched up the fruit cards to each fruit that I had. He was real excited to do this and he did such a good job! I called out the name of each fruit as we matched them and then he picked out the orange for a snack. Isn't that a huge lemon?! I used the sensory idea from Carisa's Ideas for Using ABC Find It! and it was a hit! We hid the red objects from the color basket around the room for Bo to find. Apple Alphabet Match from when we rowed How to Make an Apple Pie and See the World. Apple Sequencing from Erica's Letter of the Week ~ A for Apple. (I lined them up for him, leaving one out and asked him where it goes). 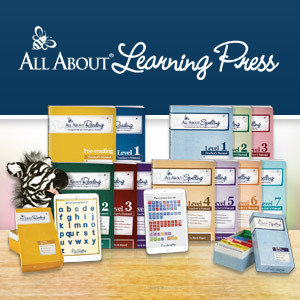 Carisa's All ABC's Page has more ABC learning fun. I've been downloading lots of things from there. I also downloaded/printed/laminated a set of Homeschool Creation's Alphabet Flash Cards and alphabet do-a-dot printables for more do-a-dot painting for Bo (which he loves to do!). I'm a bit behind on posting ~ we've had a bit of sickness in the house and other things going on to stay caught up on blogging. We have almost finished letter Bb and will start letter C when Bo is feeling better. 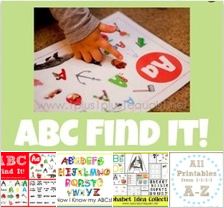 I started a Pinterest board for ABC's and the Letter Aa and hope to add letters as we go! Costco! I haven't seen them for several years but keep an eye out for them every year - usually around the holiday season.